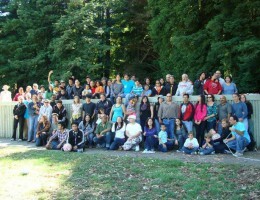 “Convivir” means to be and act together. 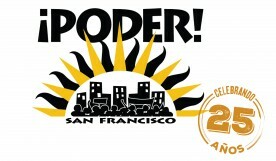 PODER convivios plant seeds of change in our neighborhoods, and are part of PODER’s larger strategy of weaving together community stewardship, cultural regeneration, and community-scale decision-making. 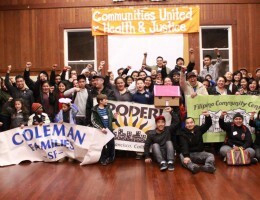 Throughout the year, PODER organizes skill share gatherings where neighbors come together to harvest the abilities and talents within our own communities. 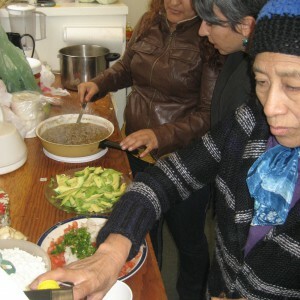 The gatherings include diverse themes such as traditional healing methods, environmental justice bicycle tours, sugar skull and flower making, healthy multicultural cooking and neighborhood barter events. 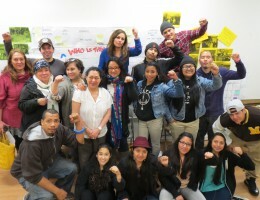 Members of younger generations learn from their elders, and elders connect with youth. 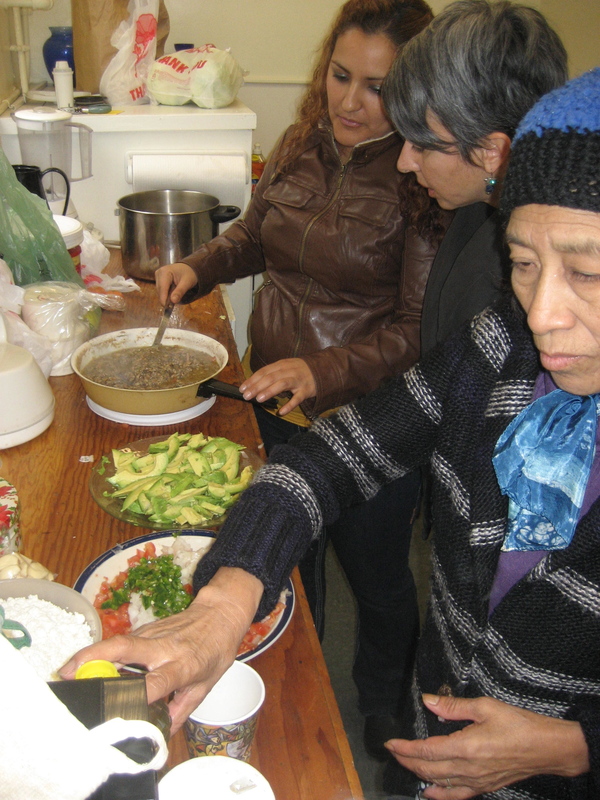 Convivios provide the fertile ground for efforts such as sharing gardens, bicycle coops, cooperative housing, and other solidarity economy initiatives to flourish. For example, PODER member Maria Vasquez, who has been part of two social enterprises launched with PODER, first became involved through a pillow-making skill share. She then joined PODER’s action team which helped to launch Maya Luna and Las Cocineras, two catering and restaurant enterprises. 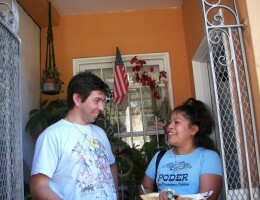 “PODER has always been available for me and my family when we needed help,” says Maria.